Book online directly with us. 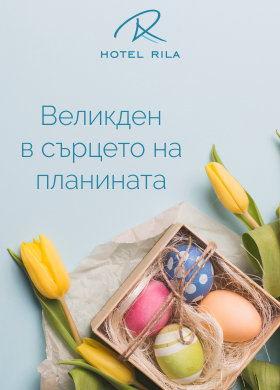 You can book your stay at the Rila Hotel online. Fill in the field below to see our special offers. 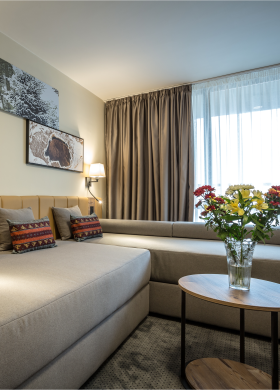 The four-star Rila Hotel, with its close proximity to the ski slopes (the classic ski-in/ski-out location), is the most impressive hotel in Borovets. The hotel provides perfect holidays for any age and during any season. 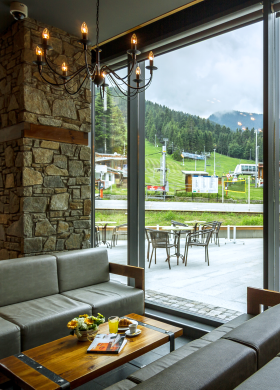 After a massive renovation in 2015, the Rila Hotel welcomes all its guests with a brand new design and a modern alpine-style ambiance. 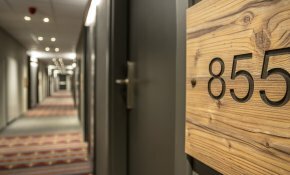 Since October 2017 the hotel offers to its clients Superior rooms and apartments with elegant alpine design. Had a fantastic holiday in Hotel Rila. Here is the Reception of the Rila Hotel - don't miss to book your stay with us! The best après-ski scene in all of Borovets with unparalleled views of the ski slopes and the pine tree forest! Feel the spirit of Rila Mountain at the Rila Spa - a one of a kind sports and spa center in the resort! Book a SUPERIOR room at the Rila Hotel and enjoy nice accommodation and magnificent view of the mountain!